The Hype Cycle takes a look at technologies at each stage of their development. The stages of the Hype Cycle, in order are: Innovation Trigger, Peak of Inflated Expectations, Trough of Disillusionment, Slope of Enlightenment and Plateau of Productivity. Let’s take a quick look at which technologies are seeing their stock rise and what that might mean for your business going forward. Right now, it feels like every discussion about technology begins and ends with 5G. Sooner or later, it’s going to impact every business and every individual in a significant way. Security, scalability, and speed should all be increased considerably. Though many service providers have announced plans to launch 5G services in the next year or two, Gartner reports that the majority of the applications through 2022 will be to primarily support IoT communications, high definition video and fixed wireless access. 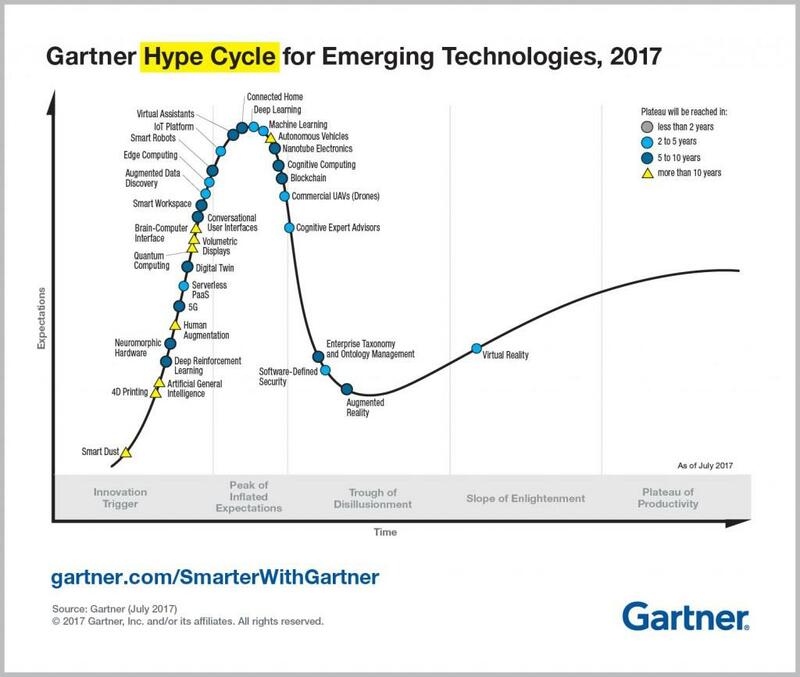 What’s your take on this year’s Gartner Hype Cycle for Emerging Technologies? Which technology do you think will make the biggest impact? Are there any technologies you think will disappear? We invite you to share this blog along with your thoughts on social media.